The connected car market in recent years has shifted into high gear, with the number of connected cars hitting our roadways growing rapidly. Analysts estimate that 94 million connected cars will ship in the year 2021, for a compound annual growth rate of 35 percent from the 21 million connected cars that shipped last year. Globally, it’s estimated there will be a total of 380 million connected cars on the roads by 2020. See also: Are connected cars only as good as your cell network? Clearly, the connected car market is on the cusp of explosive growth and widespread adoption. 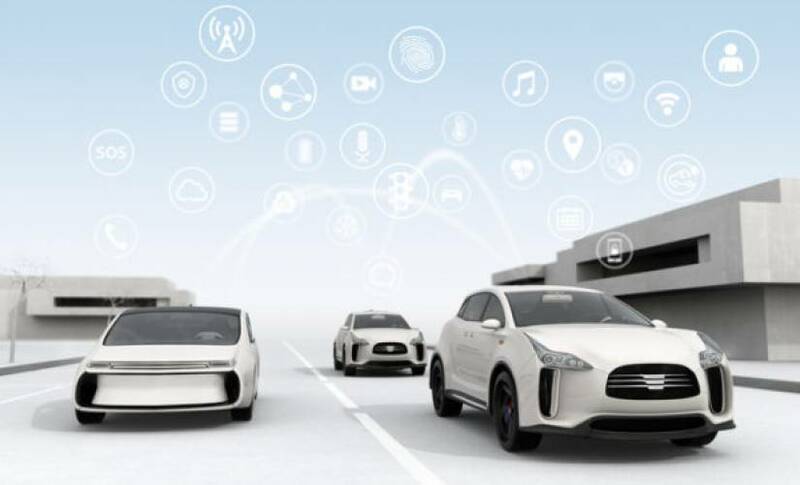 Automakers, their partners, and third-party developers all recognize this enormous potential business opportunity and are rolling out new technologies, applications, and services at a rapid pace, further adding to the connected car ecosystem. The potential benefits to consumers are many, from improved safety to a more efficient and personalized driving experience, to new everyday conveniences. However, as is often the case with emerging technologies, there exist some misconceptions in the marketplace that are causing concern among consumers. In order to showcase the many benefits of the connected car and put those concerns to rest, let’s dispel some of those myths. Fact: Connected cars are extremely complex machines. Higher end vehicles often have 100 or more onboard computers continuously monitoring location, component performance, driving behavior and more, and they can produce up to 4 terabytes of data per day. Fortunately, many of the security best practices developed in enterprise IT throughout other industries can be applied to the connected car, and automakers are working closely with high-tech companies and security experts to do so. For example, the convergence of disparate networks in the vehicle to an IP over Ethernet backbone is one big step toward holistic connected car security. With in-vehicle networking standardized to IP, proven security technologies from encryption and authentication to firewalling and intrusion detection and prevention systems (IDS / IPS) can be deployed to give the connected car its own defense in depth. Artificial intelligence is also being deployed more frequently to help secure connected vehicles by learning and detecting new patterns of malicious behavior (or even non-malicious anomalies that could be early warnings of the need for maintenance). Connectivity management platforms can automate how and when a vehicle connects and what it does with that connection. Through such a platform, automakers can automatically disable connectivity while a vehicle is being shipped, preventing abuse of the connection during transit, and then have it securely resumed once the car has arrived at the dealership. By creating a secure network architecture in their vehicles, automakers can ease concerns about these vehicles and help cautious consumers focus on all the benefits a connected car has to offer. Fact: In reality, the automaker is just one player in an entire ecosystem of connected car-related technologies. As new vehicle sensors and parts, highway and municipal infrastructure, and applications emerge every day, the responsibility falls on each member of the ecosystem to keep the connected car, its drivers, its passengers and their data safe. Multiple tiers of suppliers, dealerships, developers of aftermarket devices and services, regulatory bodies and even other industries creating devices and services that interact with connected cars all work together to contribute to the security of the entire ecosystem. It is especially important for third parties that provide after-market applications for connected cars to have secure infrastructures. By working with high-tech companies and applying many of the security best practices that have been developed in other industries with the rise of the Internet of Things (IoT), all players in the connected car ecosystem will be able to strengthen security throughout the entire lifecycle of these vehicles and among the devices and applications connected to them. Fact: Connected cars collect a lot of data, from driving patterns and biometrics of the driver to video, radar and Lidar imaging of the surroundings. They can even collect data on your shopping habits. However, this doesn’t necessarily need to be a cause for concern. As in-vehicle network architectures become more secure as described above, automakers can address consumers’ privacy concerns at a very granular level, allowing consumers to determine what type of data they’re willing to share and seamlessly manage how it is used. Connected vehicle data can even be anonymized and still provide value for everyone in aggregate. The benefit of all this data collection is a much improved and more personalized driving experience. For example, based on data about the driver’s past preferences and behavioral patterns, connected cars can offer personalized recommendations such as a hypermiling package that helps drivers get better mileage or a discount at a nearby restaurant based on the time of day and the fact that the driver has dined there before and complimented the venue on social media. Personalized services can include having your car order ahead at Starbucks so your drink is waiting for you when you pull up or having it offer to start itself in the morning a few minutes before you normally leave for work because the temperature outside turned cold overnight. Data collection is also used to create a safer, more reliable and more efficient driving experience. By applying analytics to telematics data, the need for maintenance and repair services can be predicted, and by analyzing how drivers and passengers use vehicle features, automotive manufacturers can improve future vehicle design. Fact: While many people may be more aware of the “infotainment” features of connected cars, such as the ability to stream music and video or integrate with smartphones, connected vehicles are capable of providing so much more. We’re already beginning to see prototypes of new experiences such as immersive video conferencing and collaboration platforms that allow passengers to conduct business meetings while on the road. Connected cars can also save manufacturers and dealers time and money, eliminating recalls and streamlining warranty and service contracts. Self-parking, driver-assistance, and highly automated driving are all popular features that we will see more of in the near future and that rely heavily on vehicle connectivity to the cloud, other vehicles, and roadside infrastructure. Vehicle-to-vehicle and vehicle-to-infrastructure communication help connected cars identify safety hazards and avoid collisions, and even enable faster response from emergency responders. All this is just the beginning. With the evolution toward an IP over Ethernet backbone architecture providing flexibility to connect and orchestrate new in-vehicle sensors and actuators, coupled with cloud-based analytics and artificial intelligence, the range of services that connected cars can deliver will be nearly limitless. Fact: While talk in the industry has reached a fever pitch, the reality is that many of the world’s largest car makers are hamstrung by inflexible in-vehicle architectures. Advanced features like those discussed above require much greater bandwidth for moving data around in the vehicle, more onboard computing power for making the right split-second decisions, and the agility to install new sensors without radically redesigning the vehicle. The broader attack surface in connected vehicles also calls for a more holistic approach to security. Nonetheless, the collection of disparate, siloed heritage networks with restricted bandwidth that exists in the industry today makes it very difficult to integrate new features, let alone secure them. Convergence and migration to Ethernet and IP technologies should not only make integration easier and support virtualization of compute to streamline in-vehicle architecture, but should also give manufacturers the agility they need to accelerate into the connected car era. The connected car market continues to grow, and the potential benefits are enormous. However, to realize the full potential, a standardized, extensible, secure in-vehicle network is required to make good use of all the information connected cars can generate. Fortunately, proven architectures such as IP over Ethernet should provide automakers the capabilities and agility they need to keep the connected car market in the fast lane for continued growth.